Learn To Analyse Data Quickly! Training For Your Entire Team? Data Interpretation & Analysis Training at Intellisoft. Data Interpretation Training provides you the secrets of Analyzing & Interpreting Data for decision making, Analyzing performance & Continuous Improvement of processes. A number of statistical Data Analysis Techniques for Predictive Analytics are demonstrated with examples & exercises for participants. Classroom based demonstration with hands-on Exercises using Microsoft Excel, used as a Data Analysis Tool. Extremely Practical, Hands-on Training with our Excel Guru Master Trainer Mr. Vinai Prakash, PMP, MBA, Six Sigma, GAP, ITIL Certified ACTA Trainer. Mr. Vinai has over 28+ years of experience in Data Warehousing, Data Quality, Data Mining, and Advanced Data Analytics & Business Intelligence. Course Duration: 2 Full Days Training on Analyzing Data Using Microsoft Excel 2016 / 2013 / 2010. The objectives are to equip the participants with a sound grounding of Using Microsoft Excel for day to day analysis of data. Many advanced concepts and features of Microsoft Excel are highlighted to the students. Learn the best practices in data collection, analysis and decision making. The key feature is the number of exercises and real life examples used in the 2 day Data Analytics workshop. Be able to analyze any given data set, and summarize it to highlight the key points and make it presentable for clients or management. These Data Interpretation & Analysis Workshops are highly practical, and the participants learn by doing a number of exercises using Predictive Analytics – Correlation, Regression & Modeling Techniques to Analyze and Interpret data. Different methods & techniques to forecast & analyze data with advanced features of Microsoft Excel are taught in this hands-on training. We also cover advanced Exceld data analysis topics like Data-Tables, Using Goal Seek, Performing Scenario Analysis, and Advanced Pivot Table techniques in analyzing data within Excel. Learn The Secrets of Data Analysis With Excel, & Be a Power Ninja Data Analyst! 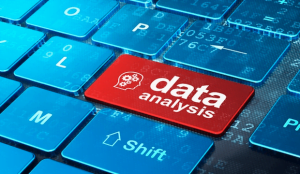 This data analysis course is intended for Managers, Data analysts, Professionals, Executives and Support staff from Sales, Service, Finance, Marketing, R&D and IT Departments, who are assisting the management in the presentation of charts, graphs, comparing past performance, doing forecasting, budgeting, trend analysis and decision making based on past and present data. Notes in folders will be provided. Exercises with sample data are available for use in the class. Holistic Approach to Continuous Improvement. Data Analysis in the real world. This training course is created and delivered by Mr. Vinai Prakash, Master Trainer & Founder of Intellisoft. He has authored several articles on Data analysis, Excel Dashboarding Techniques, Data Warehousing, Data Mining, Using SQL Databases for Creating Data Rich applications, which are published all over the world. You should be familiar with Microsoft Excel and should be able to write & edit basic formulas and functions. You should also have some data to analyze and a desire to learn advanced techniques in data analysis. Register for the 2 Days of Data Interpretation & Analysis training today by simply clicking on the chosen course date available at the top of this page. Submit an online enquiry if you have any questions regarding Data Interpretation & Analysis training. Course Dates: In – house customized Corporate Training for Data Interpretation and Data Analytics using Microsoft Excel is available for a group of 10 or more participants. We have conducted this Data Interpretation & Analysis training in Singapore, Malaysia, Zimbabwe, India, Egypt and Indonesia. Contact us if you have a team of 8 or more data analysts interested in LEARNING THE SECRETS OF DATA INTERPRETATION & DATA ANALYSIS, and become EXPERT DATA ANALYSTS. Wouldn’t You Want To Be an Expert Data Analyst? Register Today for this 2 day training. Call us at +65 6296-2995 to reserve your seat now. Call us at +65 6296-2995 or email to training@intellisoft.com.sg for any questions, or to register for the upcoming class of Data Interpretation & Analysis. 1. Very knowledgeable Instructor. Examples & exercises were easily connected to daily work. Hands on training sessions were helpful. 2. Excellent workshop. I am able to clean-up the data, using vlookup more efficiently and Pivot table analysis was the best. 3. Good execution of training. Suitable real-life scenarios used during the training. 4. Being able to concisely explain formulas and techniques in a short time and stay relevant. 5. Speaker’s understanding is outstanding. Useful tips to use excel efficiently and effectively. Real life examples used. Great effort. All my questions were well answered.